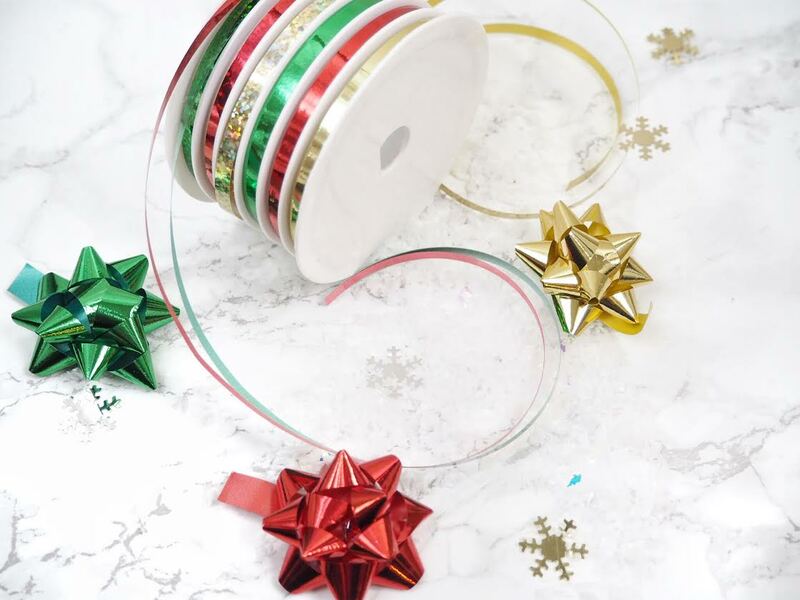 I love a good Pinterest worthy present as much as the next blogger, so I thought I would share my idea for this year. I have gone for very traditional brown paper with just a little bit of sparkle, something sweet, and a sprig of fir for good measure. As I previously mentioned in my Christmas Hacks post, for a traditional (and cheap!) way of wrapping your presents you can usually get a 3m roll of brown packing paper for about £1 in most stores. 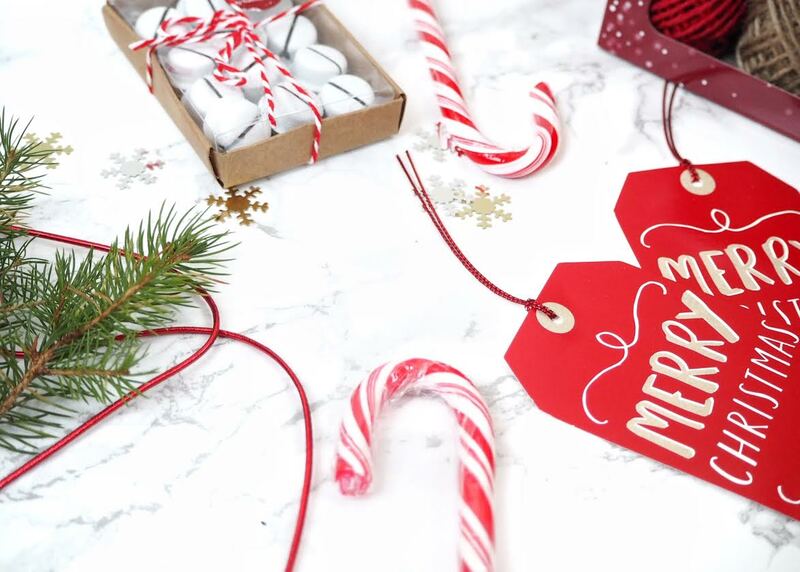 You can buy candy canes from most stores this time of year. I love including them on my gifts because you give the receiver that unexpected extra sweet treat. 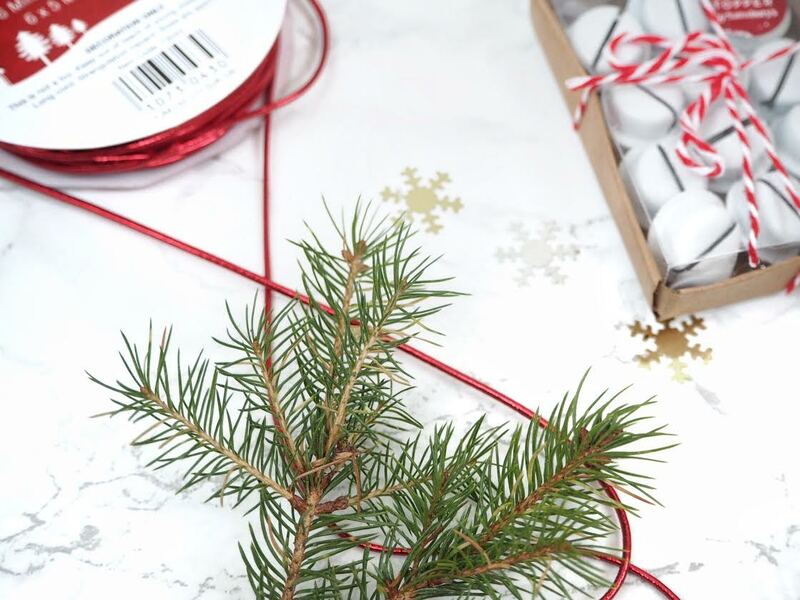 I then bought some white bells from Sainsbury's, which could be used as small tree decorations too, and tied them round the ribbon. The sound of a bell just epitomises the Christmas season for me, and if you have seen The Polar Express you will know what I mean! I then got some spruce cuttings from my garden. Free is a girls best friend this time of year you know? If you don't have a fir tree in your garden you can always ask your local florist for any off cuts they might have. I just love the scent, and that extra touch of nature and greenery. I then bought multipack of twine, labels and some bows from Sainsbury's. 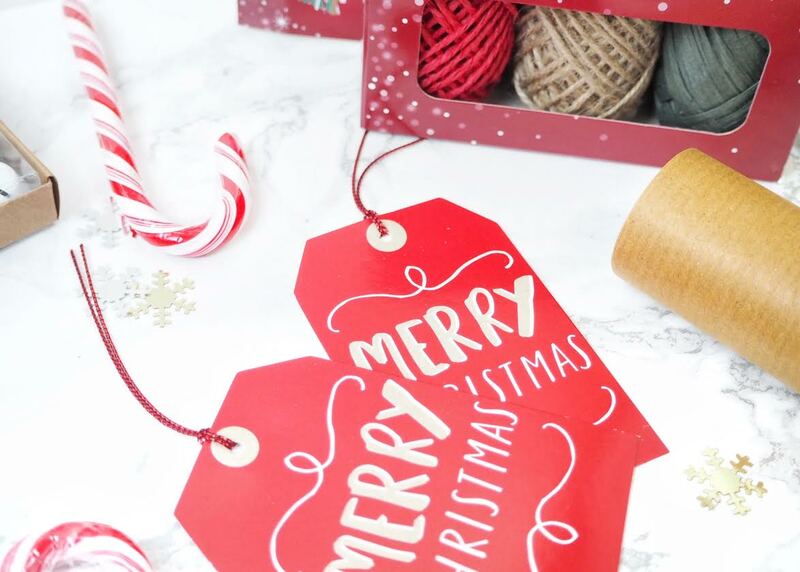 I could have just used decorating string but I wanted to inject some classic colours into my gifts. There was a danger it might have become a bit plain otherwise! Red, green and gold are perfect for this time of year, although next year I am thinking of going a bit more modern.. What do you think?! 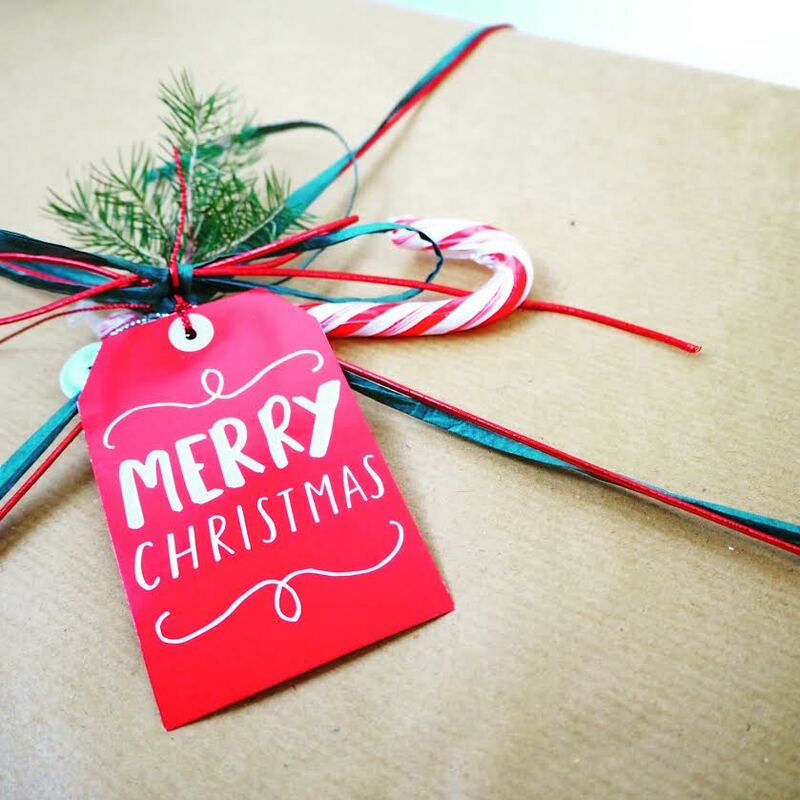 How have you wrapped your presents this year? 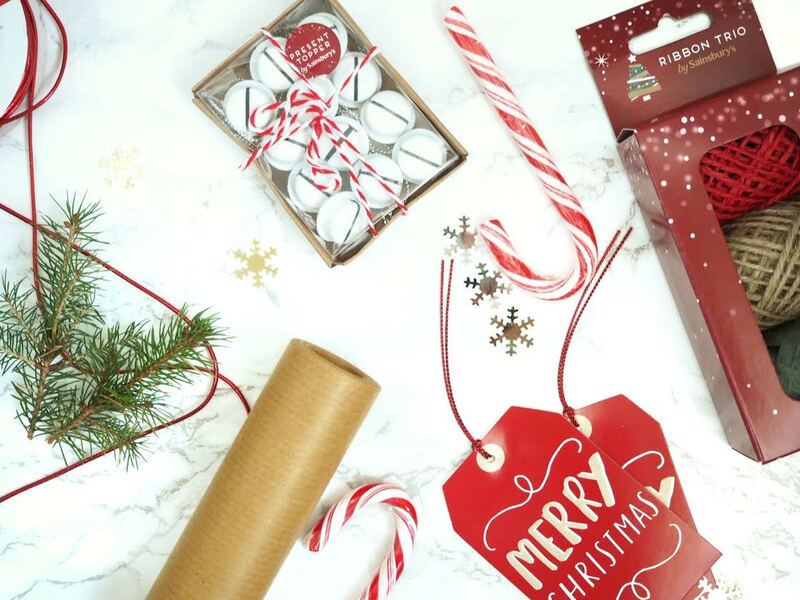 Also, don't forget to check out my Gift Wrapping Guide.